cubalasterrazas.com | Want to know before you go? Official Cuba Las Terrazas information and guide, get facts and latest news. Hotel La Moka is set in the lush countryside of Pinar del Rio in the region know as Las Terrazas. Just 45 minutes west of Havana the hotel makes a great escape from the hustle and bustle of the city for those who Rent a car in Cuba. Perched on a wooded hillside in a forested area overlooking a valley and a small lake, the Hotel Moka offers complete tranquility and silence to its guests, only disrupted by the tweeting of birds and the sounds of wildlife or the flowing rivers below The hotel is surrounded by a tiny village community where locals live & work the adjoining land. There are plenty of activities & open air restaurants, and in particular, an organic, vegetarian restaurant which is highly suggested. With a giant trees growing straight through the lobby and a clever design which brings the outdoors into the hotel, the Hotel Moka is one of Cuba’s most charming and unique properties. Intimate, romantic, and pleasurable, it makes for a memorable stay. Las Terrazas offers 5,000 hectares of a sustainable rural economy based upon the rational use of its natural resources for tourism. The buildings of Las Terrazas Community have been deliberately built to blend with their natural surroundings. Things visitors to the Hotel Moka can do while staying at the Hotel. Our booking process is unique because it shows the best rate from all of these for Moka hotel in Las Terrazas and the types of rooms available. Our Moka Las Terrazas rate comparison is an industry first for Cuban Hotels. A Casa Particular in Las Terrazas or home stay in Las Terrazas Pinar del Rio or just outside Las Terrazas will ensure you experience both the wonders of Las Terrazas’s amazing rural scenery, immersed in one-on-one contact with your Cuban hosts in the UNESCO acclaimed Pinar del Rio Valley. Learn about Las Terrazas’s rich history, together with true Cuban hospitality. The owners of your casa particular in Las Terrazas speak fluent English and have a profound knowledge of the city and its many sights. Any questions you wish to ask will be answered instantly by the Cuban family you are staying with. Some of our casa particulares also offer meals and drinks, meaning you’ll get to try some authentic Cuban food also. Here is a list of just a few Casa Particulares in Las Terrazas which can be reserved online through us. Easily the best way to visit Las Terrazas and the Pinar del Rio region of Cuba is by renting a car. 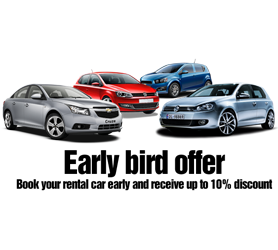 We have some incredible Car rental offers from economic cars to the latest sport convertible models. We also offer 7 and 9 seat minivans to allow you to visit Las Terrazas Cuba with the whole family. Booking your Cuba Car Hire in advance is crucial to your trip and, by checking our rates and availability you’ll be able to find the car to suit your budget and ensure it is ready and waiting on the exact day and time you choose. Book with your Cuba car hire to visit Las Terrazas with Havanautos, CubaCAR, REX or Via Rent a Car now to avoid setbacks or unnecessary unplanned costs while you’re in Cuba. Our exclusive Cuba-One-Way® program also caters for those of you who wish to collect your Cuban rent a car in say Las Terrazas and return it in another city, ensuring that your exact itinerary starting from Las Terrazas is organized in advance. If you’d prefer a “one-price” offer, we have our FlexiDrive® Road Trip program. It includes both a rental car and hotel voucher to visit any hotel across Cuba within the program, drive at your own pace, without making forward bookings of more than 24 hours in advance and ensuring absolute freedom to discover our beautiful country. The FlexiDrive® package is available from 7 to 30 days, you decide the duration! 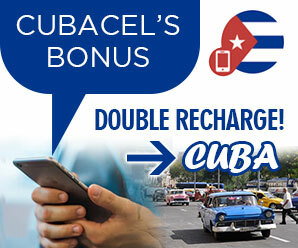 The perfect offer of Hotel + Cuba Car Hire in one cheap package! Are you looking for cheap flights to Pinar del Rio Cuba? In order to visit Las Terrazas you would need to either fly into Pinar del Rio Airport or to Havana Airport then Rent a Car at the airport. 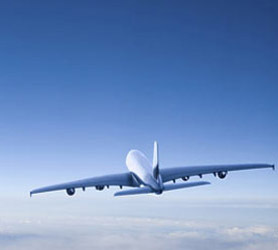 Immediate confirmation of your flight to Pinar del Rio Cuba is just 2 clicks away. We also offer a price comparison of all available airlines to Cuba and Pinar del Rio to allow you to get the best flight deals to Cuba right now. Our Cuba flight checker is free and can help you plan your vacation budget. Once you have booked your flight to Pinar del Rio Cuba, you can conveniently book your hotel, car rental or any other service on this one website, we are also available on our chat system should you need any personal help with your travel to Cuba or to coordinate your whole trip to Pinar del Rio. We also offer VIP arrival services, airport transfers and much more, just ask us on our chat system and well coordinate your whole trip for you! Las Terrazas Travel – Live Help?